Tea light holders from O-Days 2014. Photo by Sarah Mulholland. 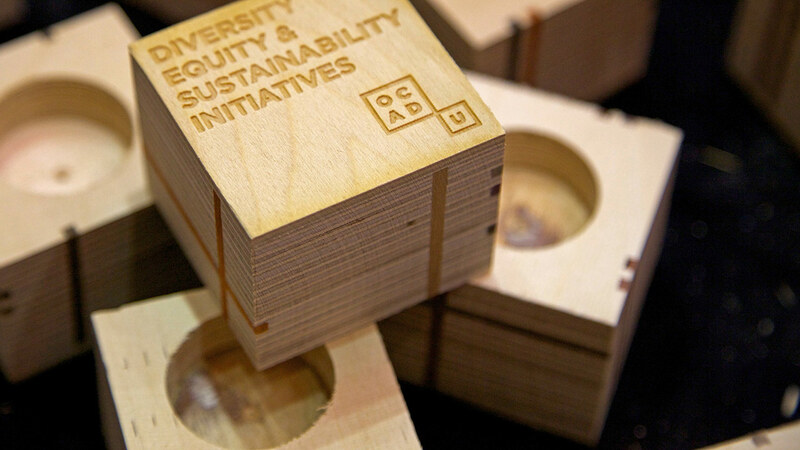 The Office of Diversity, Equity & Sustainability Initiatives (ODESI) at OCAD University strives to ignite, amplify and feed conversations that advance the community’s collective understanding of art and design, equity and social justice. Site-Specific is an interview series dedicated to exploring criticality in Art and Design through an intersectional anti-oppressive lens. Through interviews with members of the OCAD University community, Site-Specific reflects the voices of diverse artists, designers, educators, academics, and curators, as well as projects & events, to explore how critical issues are engaged through our art & design practice, teaching & research. To get involved and share ideas for guest bloggers or topics, or to involve a class in creating content, please contact schherawala@ocadu.ca, or visit the Office of Diversity, Equity & Sustainability Initiatives on Facebook and Twitter @OCADU_DEI.